If after a summer using your Raymarine sonar on the water, you’re wondering how you’ll cope without it when the ice season starts, good news is at hand. Raymarine has just released a purpose-built Ice Fishing Kit to protect your Dragonfly and transform it into the ultimate hard-water fish finder, enabling you to use it all year round. Pelagic Expeditions, a specialist in high latitude sailing adventures has been a partner with Raymarine going back decades. With our two purpose built sailing vessels the 16m Pelagic built in 1987 (running the LightHouse 2 platform with an e125 Series MFD) and the 23 meter Pelagic Australis launched in 2003 (running LightHouse 2 on the primary e125 MFD with i70 Instruments) we are recognized as one of the few pioneers of the genre. FLIR today announced the Raymarine Element™, a new generation of advanced, combination sonar and GPS displays. 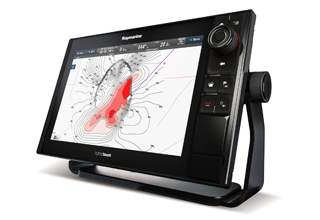 Featuring the acclaimed Raymarine RealVision™ 3D and new HyperVision™ sonar technology, the Element series delivers lifelike imaging and helps meet the demands of both coastal and bass fishermen with advanced sonar, versatile mapping capabilities, and a highly intuitive user experience. Fareham, United Kingdom – 15 August 2018 – Raymarine, a FLIR Systems brand, is bringing a truly ‘Raymarine Retail Experience’ directly to European boaters this summer via its fleet of state-of-the-art mobile showrooms. 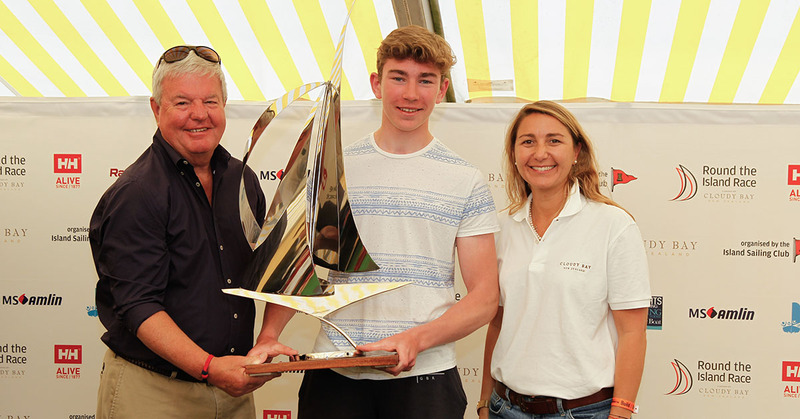 Proudly sponsored by Raymarine, a division of FLIR Systems, the 2018 Young Sailor Trophy at Round the Island Race in association with Cloudy Bay was presented to the fastest team of young sailors at this year’s race. 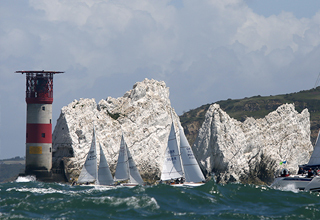 The recipients, the pupils of Hampshire Collegiate School, IRC Division 3C, completed the course around the Isle of Wight with a finishing time of 10:42:05. 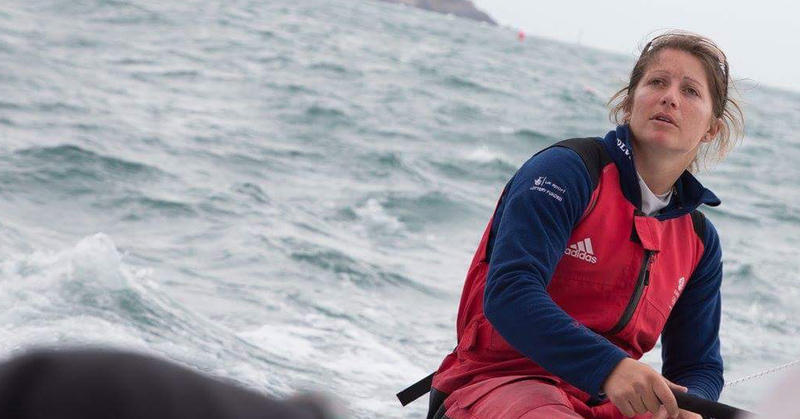 Top marine meteorologist Simon Rowell will deliver the all-important pre-race weather briefing for the 2018 Round the Island Race in association with Cloudy Bay. Hosted by the Race’s official Technical Partner, Raymarine, competitors will get the most up-to-date forecast and tidal information ahead of the Race. During the briefing, which can also be watched online, Simon will also reveal how this year’s competitors could win over £2000s of Raymarine equipment. 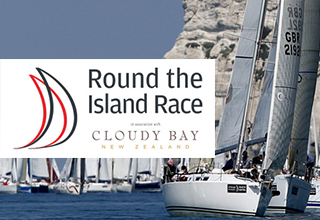 The excitement is building for competitors taking part in Round the Island Race, in association with Cloudy Bay. As the countdown progresses, it’s worth thinking about what preparations need to be made. 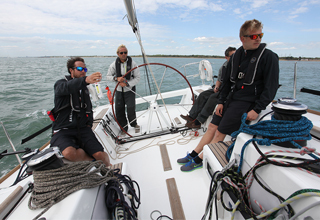 Marine electronics can play an important part in achieving success at such a high-profile sailing competition, so we asked Will Sayer, Global Product Manager for Raymarine’s Axiom product line Winner of the 2016 SORC Round the Rock, for some tips on how to get the best out of your electronics and some other pointers for getting your boat race-ready. 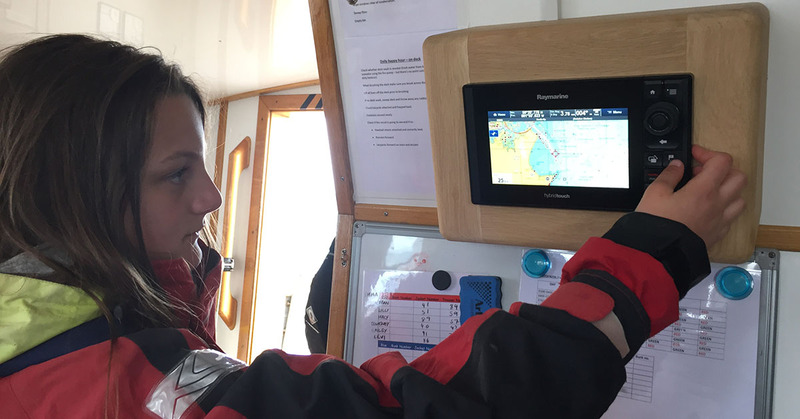 Participants in this year’s Round the Island Race in association with Cloudy Bay, are being encouraged by Raymarine, as official Tracking Partner, to sign up to use the Race’s new tracking app. This will not only help organisers observe yachts throughout the Race for safety reasons but also encourage them to compete against their rivals as part of a new campaign for the 2018 event, #ItsYourRace. Boat owners around the world continue to buzz about the unique features of Raymarine’s Axiom and Axiom Pro multifunction displays—primarily, their fast and fluid LightHouse 3 operating system, along with their powerful CHIRP DownVision, CHIRP SideVision, High CHIRP, RealVision 3D and 1kW CHIRP sonar capabilities. Raymarine, a brand of FLIR Systems, will be showing a range of its new and award-winning product innovations and technology at Seawork International. Its new line of Axiom Pro multifunction displays with FLIR ClearCruise™ thermal technology, which brings users an entirely new level of awareness on the water, will be of particular interest to professional mariners. Today, FLIR introduced its first open array radar for fishing and cruising, the Raymarine Magnum. Including many of the same radar technologies trusted by the United States Coast Guard, Magnum offers enhanced target tracking, reliable performance, and superior image detail packaged in a sleek open array pedestal built to withstand the harsh marine environment. What turns a chartplotter into a multifunction display (MFD)? Performance, technology and connectivity. In this spirit, Raymarine is pleased to announce LightHouse version 3.4, the latest free update to Raymarine’s LightHouse 3 OS software system. Since its launch at the Miami International Boat Show in February 2017, Raymarine’s game-changing Axiom units with RealVision 3D technology have been shaking up the marine electronics industry. Raymarine, a FLIR brand, will today unveil its latest line of Axiom™ Multifunction Displays (MFD) at HISWA In-Water. The new Axiom Pro Advanced Multifunction Displays, which will be making their European debut, have been designed for offshore enthusiasts and professional captains. The 2017 Rolex Fastnet Race, organised by the Royal Ocean Racing Club starts from the prestigious Royal Yacht Squadron in Cowes on the Isle of Wight on Sunday, 6 August 2017, finishing in Plymouth. The Raymarine sponsored Skinfit, a German designed D35 multihull, has won the prestigious Rund Um 2017, which took place on Lake Constance last month against the stunning backdrop of the Alps. 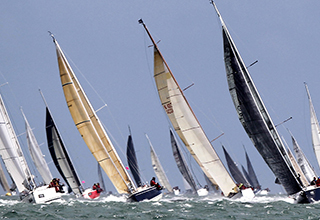 As one of Germany’s largest mass start races and one of the oldest freshwater regattas in Europe, the annual event attracts over 350 yachts, which race around the lake for the coveted Blue Riband. 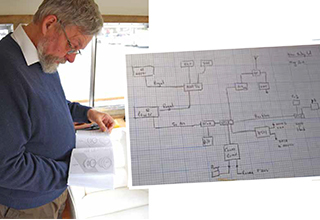 Marine electronics can play an important part in achieving success at a sailing competition, and with the Round the Island Race in association with Cloudy Bay fast approaching, we asked Will Sayer, one of Raymarine’s Senior Mechanical Design Engineers and Winner of the 2016 SORC Round the Rock, how he gets his boat ready for race day. Reported to be the toughest OSTAR ever run due to storm conditions, claiming thirteen retirements and several rescues, experienced Italian yachtsman Andrea Mura crossed the finishing line after 17 days 4 hours and 6 minutes at sea, becoming the first competitor to have won three of these gruelling events since 2012. Sailing the 2800 miles from Plymouth UK to Newport USA single handed, Mura endured the extreme conditions of the North Atlantic, said to be the worst ever for the event. FLIR unveiled today a redesign of the Raymarine brand, including a new logo, icon and tagline to be used in all marketing activities and throughout its products lines. Both the new brand design and tagline, ‘Simply Superior,’ represents FLIR’s commitment to delivering world-class marine electronics through its Raymarine brand. 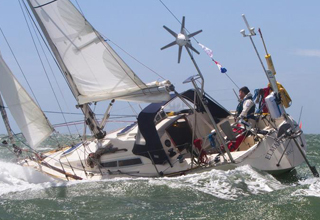 Chris Tibbs, Sailor, Meteorologist and Raymarine Pro Ambassador draws on his wealth of knowledge and experience to give you a definitive guide designed to help you safely and competently cross the Bay of Biscay. Raymarine Pro Ambassador, Alan Waston goes deep into the realms of this essential distress and safety system, to help you see and been seen on the open waters. Read the in-depth review of Quantum’s CHIRP pulse compression radar technology and learn how Quantum performs against magnetron based radome and open array radars. A breakthrough in marine navigation, Navionics Dock-to-dock Autorouting creates intelligent, detailed routes through narrow passages and channels where they’re needed most. Users can choose their start and end points, then can take advantage of Navionics’ sophisticated algorithms which calculate a detailed route that takes into consideration chart data, navigation aids, and water depth. Trinity Star is a Nelson 42, now just over 40 years old. I have owned her for 12 years and in that time have steamed over 7,000 miles and done a great deal to her including fitting new engines and stern gear, rewiring, re-plumbing and several changes of electronics. Although Andrea is solo sailor, he was accompanied by full suite of Raymarine electronics during the race. Andrea’s Open 50 Vento di Sardegna is equipped with our new Quantum CHIRP radar and our Evolution autopilot during the race.